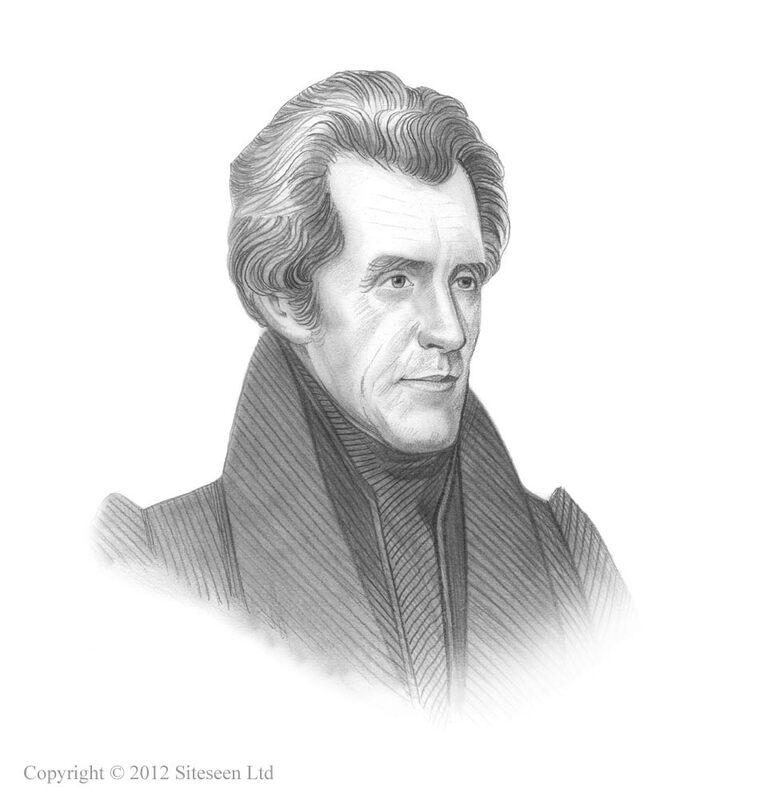 Victory or Death letter: Andrew Jackson was the 7th American President who served in office from March 4, 1829 to March 4, 1837. One of the important events during his presidency was the Battle of the Alamo and the "Victory or Death" letter sent by Colonel William B. Travis during the siege. Summary and definition: The William B. Travis Victory or Death letter was sent during the 13 day siege known as the Battle of the Alamo (February 23, 1836 – March 6, 1836). Colonel William Travis was the commander of the regular soldiers and co-commander of the garrison. William B. Travis led a handful of 180 American rebels at the derelict mission in San Antonio against Mexican forces totaling 1800. The Victory or Death letter describes the level of patriotism and courage shown, against all odds, in the cause of freedom and liberty for Texas. The envelope was marked with the defiant words "Victory or Death"
The 4 page letter was addressed "To the People of Texas and All Americans in the World"
"To the People of Texas and All Americans in the World"
Fellow citizens and compatriots; I am besieged, by a thousand or more of the Mexicans under Santa Anna. I have sustained a continual Bombardment and cannonade for 24 hours and have not lost a man. The enemy has demanded a surrender at discretion, otherwise, the garrison are to be put to the sword, if the fort is taken. I have answered the demand with a cannon shot, and our flag still waves proudly from the walls. I shall never surrender or retreat. Then, I call on you in the name of Liberty, of patriotism & everything dear to the American character, to come to our aid, with all dispatch. The enemy is receiving reinforcements daily and will no doubt increase to three or four thousand in four or five days. If this call is neglected, I am determined to sustain myself as long as possible and die like a soldier who never forgets what is due to his own honor & that of his country. Victory or Death. William B Travis sent several letters during the Battle of the Alamo. The Victory or Death letter was initially dispatched to Gonzales, which was the nearest town. The destinations of letters sent by William B. Travis from the Alamo were the town communities of Gonzales, Goliad, San Felipe, Nacogdoches and Washington-on-the-Brazos. These communities made copies of the Victory or Death letter. By March 2, 1836 transcripts of the William B. Travis Victory or Death letter began to appear in newspapers which aroused the patriotism of all it readers. The town of Gonzales was the first to respond to the Victory or Death letter. It was the closest town to the Alamo and responded by sending 32 men of the Gonzales Ranging Company to their aid. The Gonzales Ranging Company entered the Alamo on the morning of March 1, 1836. Help was also sent by the other towns but by the time they reached the Alamo the battle was over. It might seem inappropriate now to add a note to a letter but this was the Battle of the Alamo. 180 men were faced with the overwhelming forces of General Santa Anna - which according to the words of Travis would "...no doubt increase to three or four thousand". Private Lancelot Smither was poorly educated but to took the opportunity to add his personal plea for help.